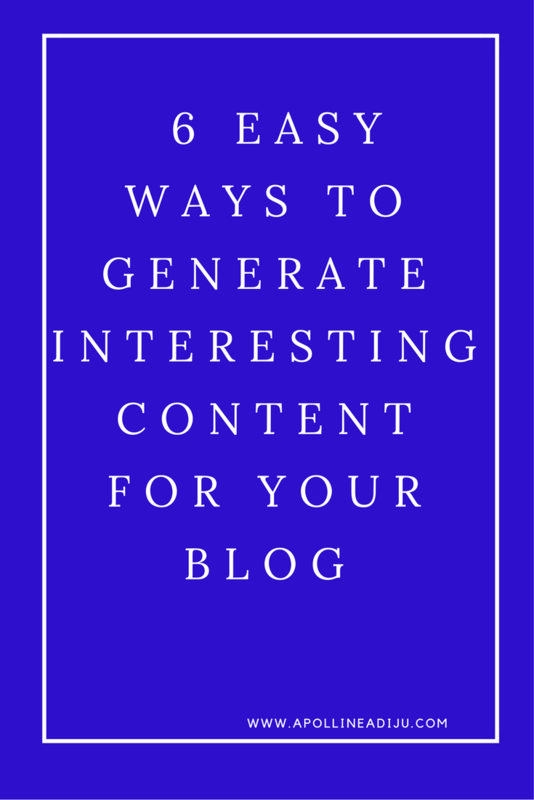 Are you struggling to generate interesting content for your blog? Building your brand requires more than having unique content, but also content that is interesting, engaging and satisfying the needs of your targeted audience. Furthermore, know that it is a process of sharing relevant content to your audience with the aim of acquiring and converting them into clients and brand ambassadors. So where do you get content ideas to generate compelling content for your blog and satisfy the needs of your audience? Pinterest is a gold mine for blog topics or content ideas. Pick out a broadly related keyword and type in the search bar. Pinterest will help you generate similar boards or pins related to your search and give you more long tail keyword ideas that you can include in your blog. These are great ideas with long keyword phrases for you in case you wish to write a blog on content creation. Quora is another fantastic place to find great content ideas for your blog post. It is so because most of the content ideas for your blog comes from regular people like you and me asking questions and in search of answers for our problems. Using your relevant keywords, you can easily find problems your audience is facing and create blog posts to respond to these questions. Don’t forget that content creation or blogging should be related to answering questions or providing solutions to the problems your targeted audience face. Judging from the image above, you can see that I typed “blog content.”Look at several questions people on Quora have been asking. They are good examples of content ideas which you can use to create interesting blog posts for your audience. There is also a possibility to search from the sidebar according to the time when the questions are submitted. I know that you are probably curious about what I have to say concerning this application. Buffer is a tool for social media scheduling that helps automate your content curation on several platforms like Facebook, Pinterest, Instagram, LinkedIn, Google+ and Twitter. From this, you can quickly select interesting blog topics (from the Most Popular Tab) that have the highest engagement for a period ( I always keep a record for about two months) and write a blog topic related to it. Creating captivating content for your blog is of uttermost importance, and BuzzSumo is a great destination for such a quest. The first image below gives you a view of what you see when you log into Buzzsumo. You have the possibility to search depending on what kind of content you need for your blog. In my second image, you can see my keyword search at the top ” content for my blog. Notice the results I get from this quest including the most trending topics related to it, the source and which networks had the most shares. It also gives you information about all those sharing, in case this is relevant to your quest for compelling content for your blog. You can upgrade to get more functionalities with this tool, but I use the free version. Using Google Keyword Planner is another brilliant way to find great content for your blog. It helps you research popular keywords related to your niche and see the volume of searches over the months or years. It gives you an idea what people in your niche are advertising online. Remember that these are paid Ads meaning if these people are ready to X amount for these, it is important and surely bringing enough traffic to their websites. You can capitalize on these search results and develop content for your blog depending on search volume. Just type in your keywords into Google Keyword Planner and copy the related keyword results to use for your blog. One of the best ways to be a great blogger and always have exciting and fresh content for your blog is to subscribe to Influencers in your niche. 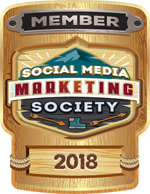 By so doing, you learn from their style of writing and get their blog content delivered directly to you. It is the best way to stay aloof in your game and have an analysis of the kind of content they produce and share with their audience. Note that; you should consider subscribing to Blogs and Podcast that are related to your niche to have constant upgrades and new blog topics weekly. In the case of a podcast, there are podcast apps like Podcast Addict that will enable you to get all your episodes downloaded to your phone for easy access. To conclude, my advice to you as a blogger or content marketer is that, do not always have in mind that your content should be amazing and 100% perfect. Just write! I hope you found some value from this post and will be able to develop or find great content in the future after reading this article. Thanks for reading and let me what you think by commenting below. Wonderful, insightful information. I never thought to look at Quora before. Great idea there. Thanks Celea. Most people do not know the power of Quora and how easy it is to find content ideas there. Creative ideas here. Should NOT run out of blog subjects any time soon! Oh yes Jill! We should not run out of blog topics. Thanks Catherine! I am glad you like them. All very great ideas and the only one I havenùt tried yet was Quora, the others I use quite frequently already for blog content. Yeah Katarina, Quora is a good source for blog content ideas. I am sure you would love using it. These are some great tips. Thank you so much for sharing. Great information. I have not heard of half of these ideas. Will do some research for sure! Such great tips! I sometimes get hung up on what to right…I want to make sure that its engaging but while keeping with the fabric of what my site is all about. When I reach those times, I often go a week without posting anything and I hate that. I can use some of these tips to be more consistent. These are some wonderful information. I would definitely try BUZZSUMO, i had never heard about it until now. These are really great tips! I’m always looking for new ways to generate content for my blog, and I didn’t think of some of these tools before. Thanks! I never thought about using Quora as a research tool but it makes so much sense! I will definitely add it to my arsenal of content creation tools. These are so helpful and amazing. I honestly don’t know which one to start off with! I’m definitely going to save this link. Thank you so much for this!! These are some great tips on generating interesting content for the blog. I do rely on many of them but pretty new to BuzzSumo, I’ll look into it more.